A great breakfast nook is a natural gathering spot in any home. Equally suitable for waking up with a cup of coffee on a quiet morning or hosting a crowd for brunch. 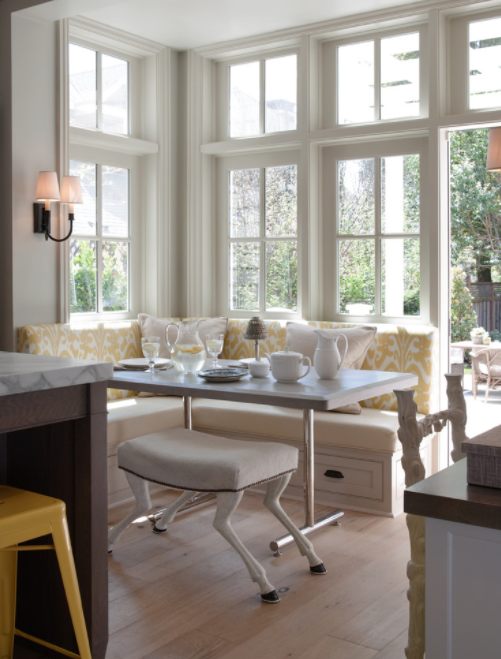 Breakfast nooks are the ultimate multitaskers in a home. 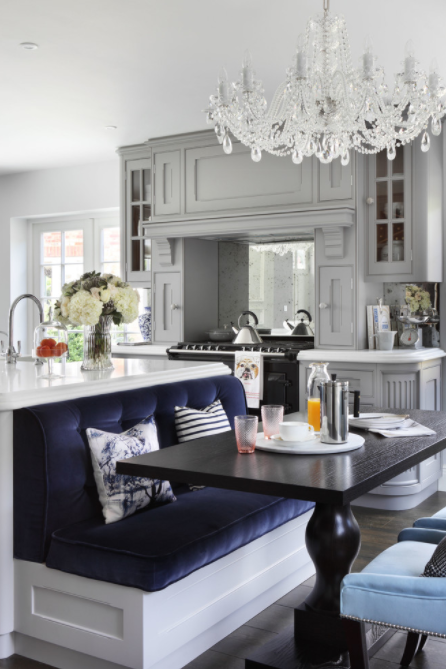 If you’re looking to incorporate a little extra seating into your kitchen we have a few ideas to help you create the ultimate spot in which to wake up and start the day. Chances are one of the first images that came to mind when we mentioned breakfast nooks is sunlight streaming through a bank of windows. Adding windows to provide plenty of natural light will give you a great view while you enjoy your morning meal. Strategic painting and keeping the decorative details on the upper cabinets to a minimum provides additional storage without visually cluttering the space. In many kitchens space is at a premium, but that doesn’t mean you have to go without a cozy spot for your morning cup of coffee! 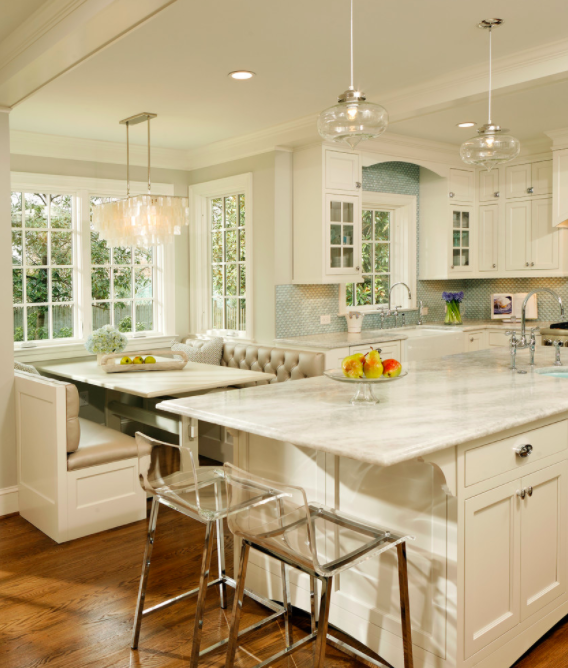 Backing a bench to an island is a great way to squeeze extra space for seating into your kitchen. 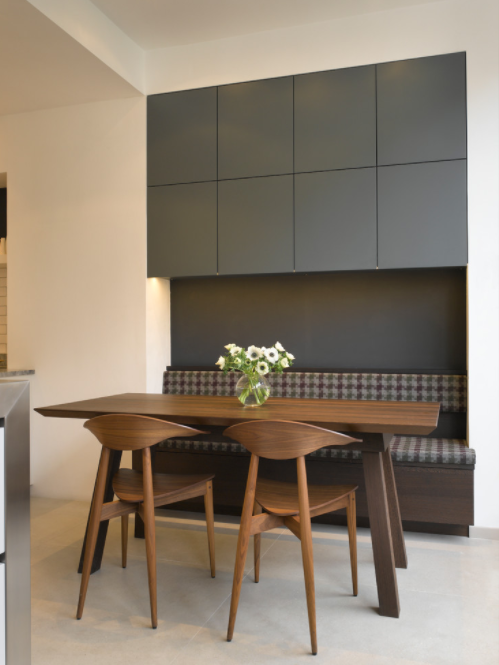 If you can’t fit a breakfast nook in your kitchen, using a small room right off of it can work just as well, too. Whether you’re looking to completely remodel your kitchen or give your existing kitchen an update, working an additional seating area into the heart of your home is a smart investment. For help designing and building the perfect breakfast nook in your DC area home contact us today.